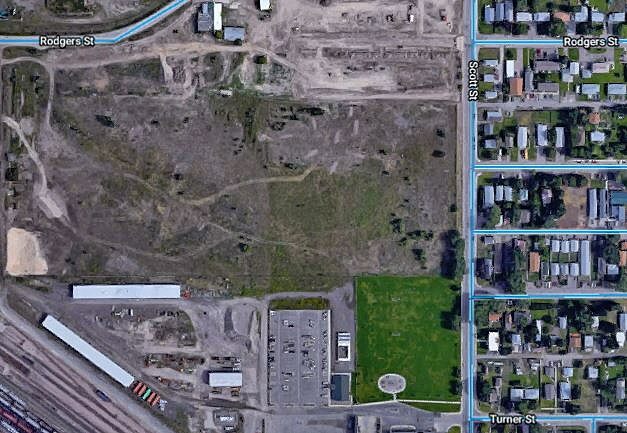 With one final season of excavation planned for contaminated soil at the Missoula White Pine Sash site, the Montana Department of Environmental Quality is giving remediation plans some extra scrutiny. DEQ slated this summer for decontaminating the wood-treatment area of the former White Pine Sash window and door frame manufacturing plant, but the work plan isn’t quite ready yet. Huttig Building Products, the company responsible for the cleanup, submitted its first draft of the work plan a year ago, but DEQ sent it back with instructions to add more details and modify some procedures, said DEQ project manager Dan Norris. Huttig submitted a second draft in mid-January, which Norris said would likely require at least one more set of revisions, because the wood-treatment area is the most contaminated portion of the property, which is north of the Scott Street railroad overpass. Huttig and its contractor, Terracon, wrote the work plan for the first round of decontamination work carried out in 2016-2017, when they removed wood waste – sawdust and wood chips – and dioxin-contaminated soil from the northern portion of the White Pine Sash property. The wood waste produced methane, which increased health risks and the risk of fire for future development. Later, they also found asbestos, which was removed in January 2018. All the waste and almost 85,000 tons of contaminated soil were taken to the Missoula landfill. But the next phase of work will have workers removing soil contaminated by pentachlorophenol – called PCP – in addition to dioxins. Dioxins are a byproduct of PCP production, Norris said, so they’re often found together at wood manufacturing sites such as White Pine Sash or the Smurfit-Stone pulp mill. “Pretty much anywhere you see PCP, there’s likely going to be dioxin as well,” Norris said. From the 1930s until 1987, while manufacturing window and door frames, White Pine Sash workers would dip the finished product into PCP and mineral spirits as a pesticide to prevent microorganisms from breaking down the wood. During that time, people learned that long-term exposure to low levels of PCP that employees dealt with could cause damage to the liver, kidneys, blood and nervous system, and animal testing has suggested links to cancer. Because of its toxicity, use of PCP was severely restricted in 1984. The Scott Street plant stopped using PCP in 1987, about a decade before it closed. But during the half-century of use, PCP leaked into the soil and groundwater below the wood treatment area. So care must be used when removing it. Before excavation begins, Terracon will have to build a plastic-lined basin to serve as a land-treatment unit and a couple of decontamination pads where trucks and equipment can be cleaned so they don’t spread contamination. Once excavation starts, they’ll deposit all the contaminated soil from the wood-treatment site into the land-treatment unit. Once all the contamination is out, a chemical oxidant similar to hydrogen peroxide will be added at the bottom of the extraction pit to break down any remaining contamination. Norris predicts the excavation will be completed this summer. At the land-treatment unit, workers will till the contaminated soil, adding nutrients and maybe some water, and wait for microorganisms to break down the PCP. Water used in the process is supposed to either evaporate or be drained off and stored in a tank on site. Depending on the level of contamination, more than one season might be needed to reduce the PCP concentration to the point where the soil can be disposed of. The dioxin concentration will also be monitored. The final phase of the cleanup will occur in a year or two when workers inject a chemical oxidant into the soil to reduce any remaining contamination of the groundwater. Once the work plan is approved, Norris will release it, and he invites the public to comment. But he doesn’t anticipate as many questions as he had in 2014 when DEQ was assessing the site and coming up with a remediation plan. “We had more controversy early. But as a site progresses, it gets better. We have a really good picture of what’s going on out there,” Norris said.